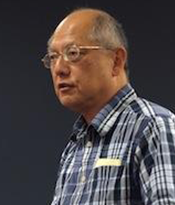 Ken Masugi is a Senior Fellow of the Claremont Institute and Adjunct Professor at Johns Hopkins University. Dr. Masugi has extensive experience in government and academia. Following his initial appointment at the Claremont Institute (1982-86), he was a special assistant to then-Chairman Clarence Thomas of the U.S. Equal Employment Opportunity Commission (1986-1990). After his years in Washington, he held visiting university appointments at James Madison College of Michigan State University and the Ashbrook Center of Ashland University. He was John M. Olin Distinguished Visiting Professor at the U.S. Air Force Academy. With Brian Janiskee, Dr. Masugi is co-author of Democracy in California: Politics and Government in the Golden State (Rowman & Littlefield, 2004) and co-editor of The California Republic: Institutions, Statemanship, and Policies (Rowman & Littlefield, 2004). He is co-editor of seven other books on American politics and political thought. His current book project is a work on citizenship and multiculturalism, which uses the standards of the American Founding to critique the contemporary attack on a common citizenship. He is the author of numerous essays and reviews of works on political theory, constitutional law, public policy, and films. Dr. Masugi has also published in the popular press, including the Los Angeles Times, Orange County Register, Washington Post, Washington Times, National Review, and the Weekly Standard. He also sits on the editorial boards of Perspectives on Political Science and Interpretation. Masugi holds a Ph.D. from the New School for Social Research. The mission of the Claremont Institute is to restore the principles of the American Founding to their rightful, preeminent authority in our national life. Copyright Ⓒ 2019. All rights reserved.